Technology will keep evolving, as will the list of options to consider when purchasing digital cameras or a security system. 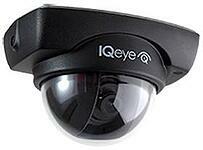 Purchasing a video surveillance system or a few additional cameras used to be a much simpler task than it is today. Even for the most seasoned professionals, keeping up with the market is more challenging than ever. That’s where we come in. Whether it’s business intelligence tools such as trends and analytics software or camera technology that enables Ethernet or mobile viewing, ITech Digital will make sure what you have is what’s best for your organization. Popular for its size and versatility, the Alliance MX & MINI not only includes the increased processing power needed to run analytics or VMS applications, it also features WDR, on-camera storage and true day/night capability. With support for up to 5MP resolution, the Alliance provides the highest quality megapixel images with the lowest bandwidth demands. Requiring less than 3.8W PoE, the Alliance MX is highly energy-efficient and economical for a wide range of settings and applications. The 3MP IP vandal-dome camera with integrated IR provides dual-streaming, high-definition video at a full 2048 x 1536 pixels for superior clarity and detail in low- or no-light situations. An Indoor/outdoor dome style camera with IP66 enclosure, with base analytic module, infrared and WDR, with an upgrade to allow advanced analytics. A license includes tripwire, direction of travel, people counting, object removed/appeared, queue length and dwell time. 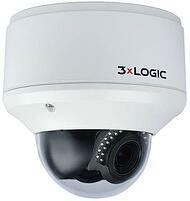 A 3MP 360° infrared IP camera with wide dynamic range. 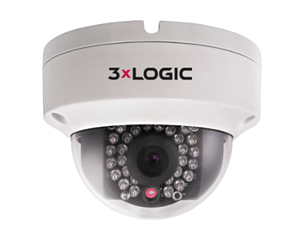 This three (3) megapixel 360° IP camera provides affordable, high-definition, 100% coverage with the ability to pan, tilt and zoom (PTZ) to anywhere within the field of view. Which video surveillance system is right for my organization? Video surveillance has several benefits, but designing the right system for your business can be complicated. 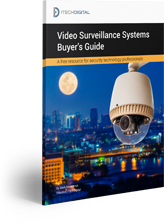 Take a crash course in the technology and terminology in our buyer's guide to video surveillance systems.